One of the most celebrated holidays in Italy is Christmas or Natale. Children open presents from Babbo Natale, “Father Christmas”, and houses are filled with the holiday spirit. However, the main event begins around noon when the Christmas lunch begins. Easter is the second-most celebrated holiday in Italy. This weekend long affair celebration is full of friends, family and delicious traditional foods. 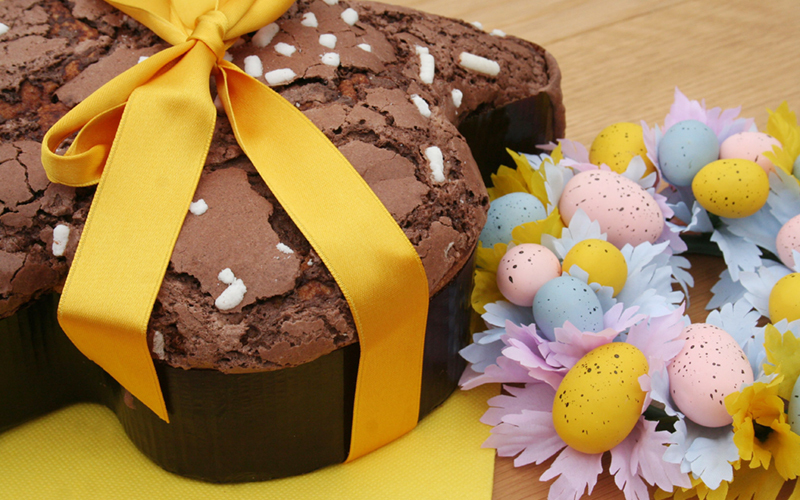 Learn more about the Italian Easter tradition and the desserts enjoyed in celebration. 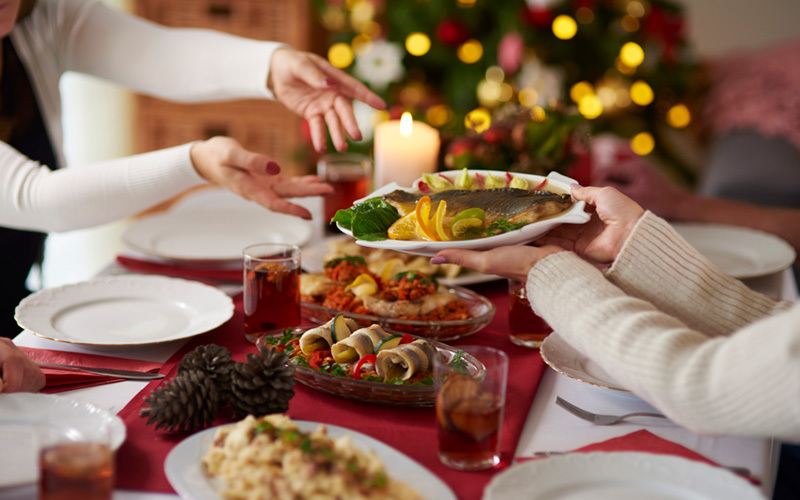 The Feast of the Seven Fishes is an Italian tradition celebrated on Christmas Eve each year, with at least seven seafood courses eaten before midnight. 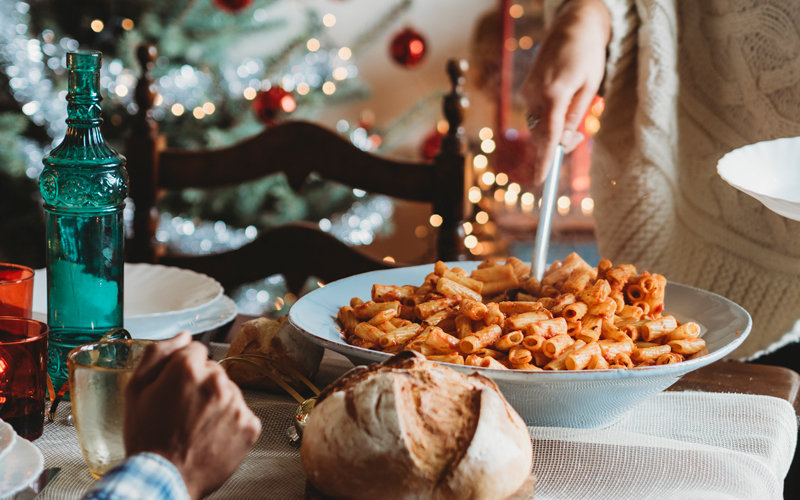 Learn more about the symbolism of this feast and how to start your own Italian Christmas Eve tradition. 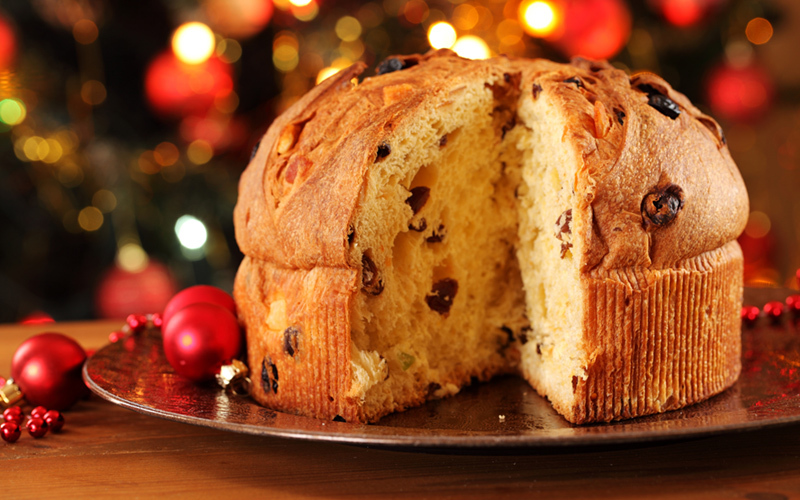 Without Panettone and Pandoro at the table, it isn’t a true Italian Christmas celebration; these popular sweet breads are staples in every household during the holiday season. Learn more about the history of these cakes and what makes them so vital to celebrating. 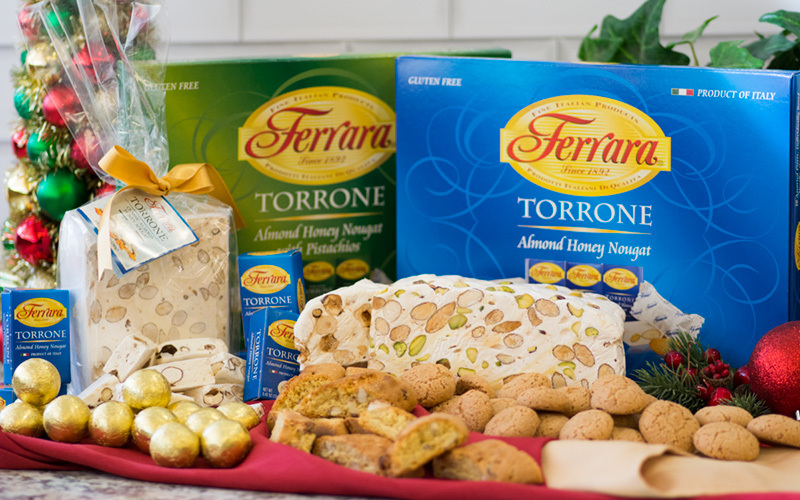 A nougat made of honey, sugar and egg whites with toasted almonds, torrone is the most popular Italian candy and is made throughout all of Italy. Learn more about this beloved Italian nougat that inspired many of the commercial candy bars we know today.